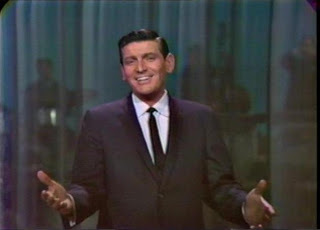 Jimmy Roberts was a popular vocalist on the Lawrence Welk Show from 1954 to 1982. Roberts was born April 6, 1924 in Madisonville, KY. As a young man, while pursuing a singing career, Roberts did a stint as a GI, and worked in a auto plant in Detroit. Moving to Southern California in the early 1950's, Roberts joined the show in 1954, a year before its debut on ABC, and his smooth presence with his delivery of songs such as "I Left My Heart In San Francisco," and "My Old Kentucky Home," made him an audience favorite. He also was paired with Norma Zimmer in numerous numbers on the Welk Show. Roberts died in 1999 after a long battle with bone cancer, leaving behind a legacy of class, character and good songs by "Gentleman Jim."